This is so beautiful I couldn't resist posting it. I originally found the image on Brilliant Asylum who originally found it on Decor Amor - as BA said it looks like it's been torn out, folded and put away for safe keeping and was most probably from a 10 year old Martha Stewart mag! Love the old bentwood chairs (aren't they such a classic piece) and the tree is simply divine lit up so beautifully with hanging candle jars! 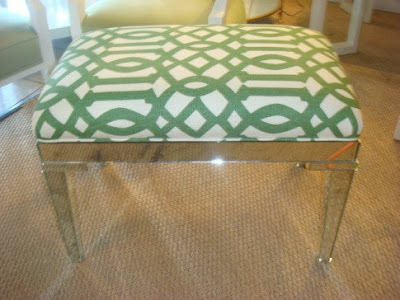 I love this little mirrored stool covered in Imperial Trellis from C. Bell - wouldn't it be beautiful used as a dressing table stool! Another week has passed us by so quickly. I have been working on a big installation this week at an inner city apartment which we have been completely refurbishing. I must say I am completely exhausted as are all the girls at Black & Spiro as they have all been working so hard with me to get everything done. 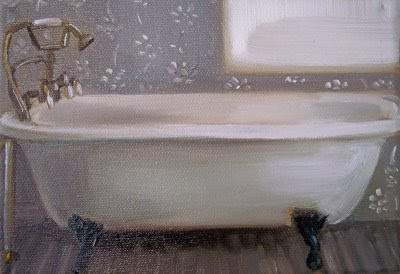 We still have a lot more to finish off over the coming weeks and I am every excited about getting it finished. I hope you all have a lovely weekend and to Av, Mel & Sal I hope you have a lovely and RESTFUL weekend because you all deserve it!! Happy Weekend to all!! I love this gorgeous little White timber cottage which has just gone on the market around the corner from where I live. 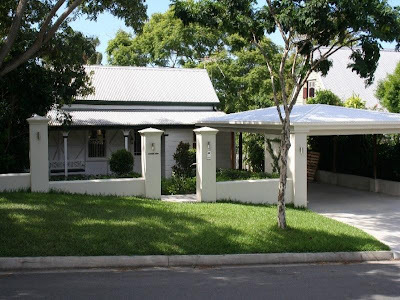 Every time I go to the supermarket I drive past this house and I have always loved it and then just last week I drove past it and there was a for sale sign out the front of it. Unfortunately this house will have to be someone else's as we just bought our house late last year and we are about to embark on a large renovation and I know it is going to be beautiful but I love this house too! My poor husband married me knowing I had an obsession with pretty houses and I think he almost has a heart attack whenever I call him saying "Oh Honey, you know that pretty house which I have loved forever and ever it's just gone on the market......etc. etc. etc." 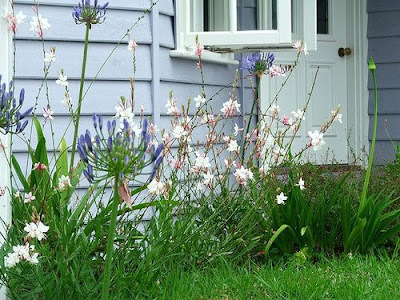 Does anyone else out there have an obsession with pretty houses and searching on realestate.com because let me tell you I almost think I have a severe problem!!! And while I'm on the subject of Windsor Smith I just have to post these updated images (thanks to Style Court) of my favourite kitchen in the whole wide world which Windsor designed for her own home....I know I've posted it before but it's like Chloe Sevigny's hallway...both are are in my all time top 10 favourite rooms file and whenever I see these pictures I sigh and look for ages and ages and ages and ages!! 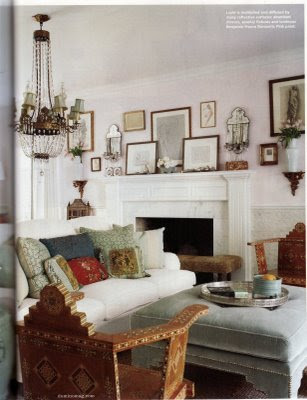 I don't think I will ever tire of seeing these rooms!! 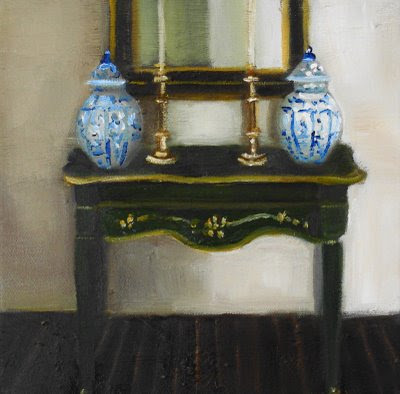 BTW - for my Australian readers if you are interested we stock those beautiful white reproduction Chippendale chairs which Windsor has used in her kitchen above at Black & Spiro and we also sell the KW wallpaper as seen in Chloe's hallway below at Black & Spiro too!! The thing I really like about this room by U.S. 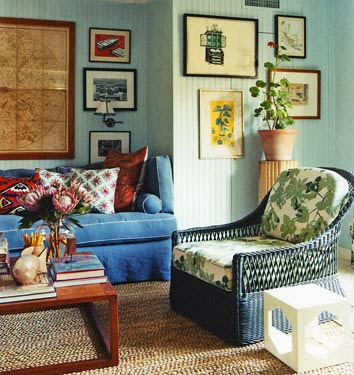 Interior Designer Peter Dunham is that it is mismatched and looks lived in and even though he has used collections of things some people wouldn't dream of putting together it works and it creates a sense of personal style. 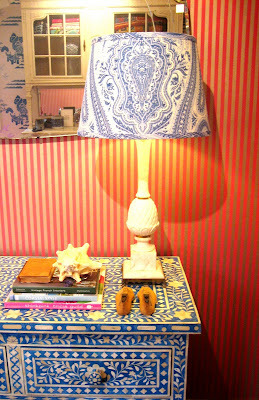 Don't get me wrong there are some things in this room that I personally would never have in my own room but that's the point and that's what mismatched style is all about. 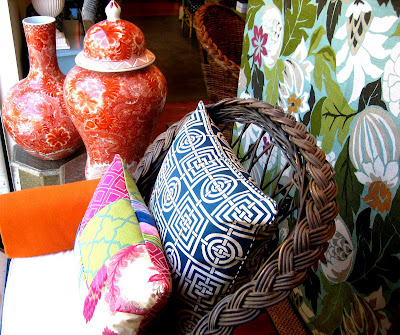 Bringing together interesting fabrics, textures, furniture styles and accessories in one area or one room is, in my opinion, one of the most beautiful and clever Interior Decorating styles. Anyone can pull together a range of plain linens and matching furniture pieces and in the right place I believe this look can be very stylish. 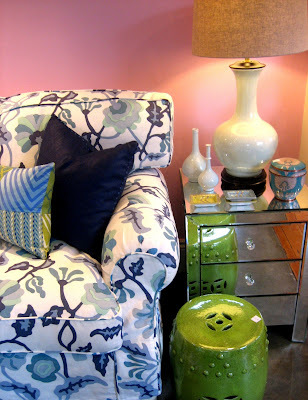 However, bringing personality into a room and most importantly finding your client's personality and being able to create a room for your client which exudes their personal style is what only a very good Interior Designer/Decorator can do. What are your thoughts? 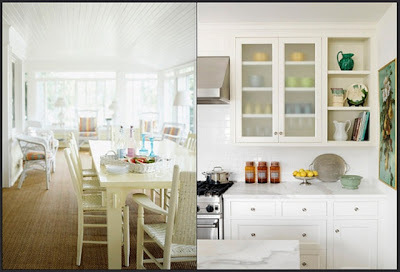 What Interior Decorating style do you like? 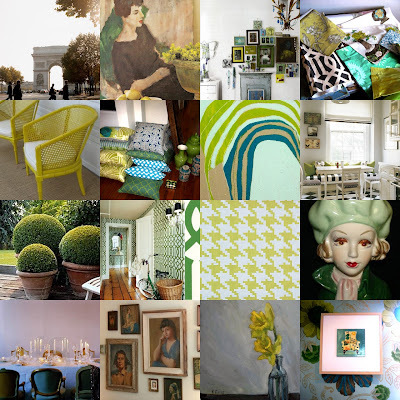 Who is your favourite Interior Designer/Decorator? Another U.S. Designer who does this look so well is Windsor Smith as visable in the lounge room she created in her own home in the above image. 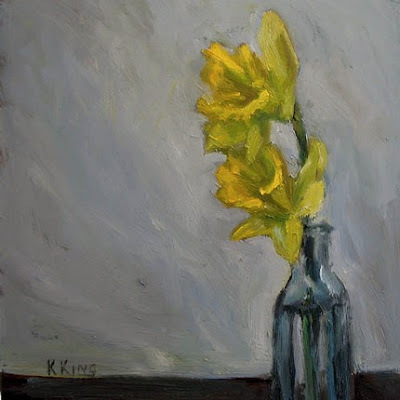 Thank you for all of the lovely emails I received over the Easter weekend! It was so lovely to hear from each and every one of you. One of the emails I received was from talented artist Janet Hill asking me to have a look at her paintings on her blog The Evening Picture. 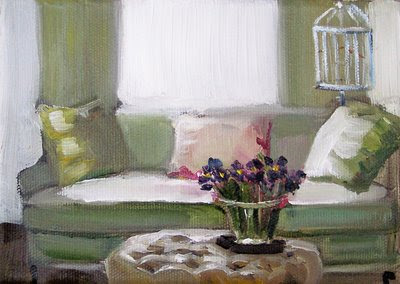 I was delighted when I looked through Janet's blog to discover her beautiful interior paintings. Here are a few of my favourites...all sold but I'll definitely be keeping an eye on Janet's work as she posts it on her blog and at her Etsy shop. And just in case you thought I'd lost my love for pink after last week's collage - here is this week's Pink/White/Charcoal Inspiration Collage. 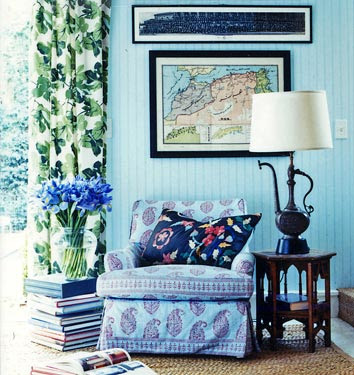 Another wonderful book to add to the wish list which we now have in at Black & Spiro is Coastal Style. 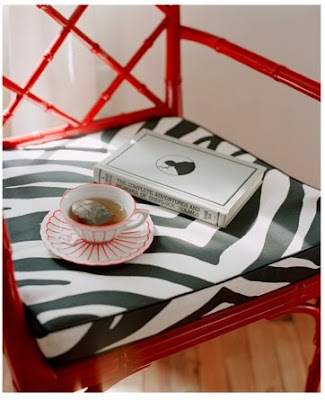 The book features lots of beautiful beach house pictures and also a few pictures of India Hicks' Harbour Island house. Here is a picture of a small display at the back of our showroom at Black & Spiro which I took today. The blue mother of pearl inlay chest just arrived in store yesterday! Last year for my 30th Birthday my friend Annie gave me this card which struck a cord with me. I kept the card and recently had it framed to hang in a cluster of other pieces in my office which we are currently redecorating. I think this is a wonderful way to remember a card someone special has given you. 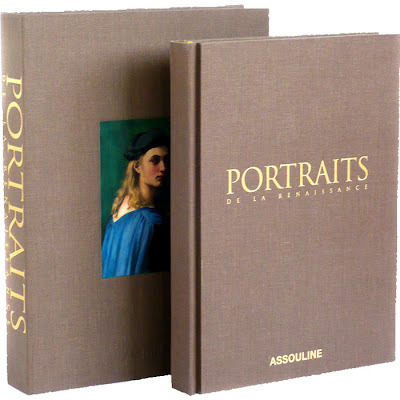 Portraits - A Book To Covet! A special edition (hard cover) book to add to my wish list - Portraits de la Renaissance by Nathalie Mandel (an Assouline book). 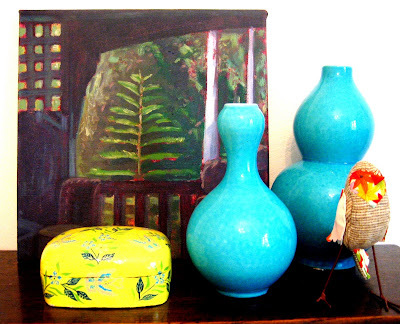 Here is a little vignette I recently put together at home comprising of a small Nick Olsen painting, some old turquoise vases, a little hand painted Indian box and one of a set of 3 little birds which one of my lovely clients gave me for Christmas last year. 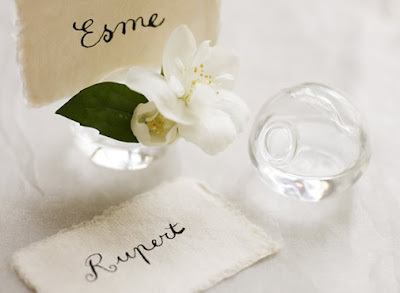 Special little things continue to brighten my day when I look at them arranged in vignettes around the house. 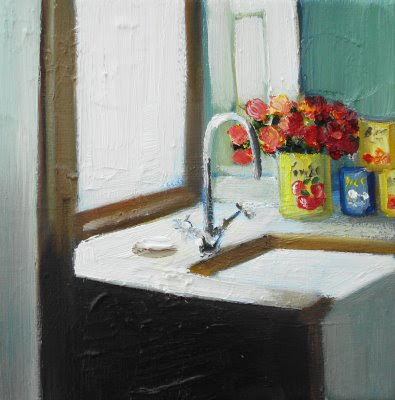 Talented Artist Anne Harwell recently posted about Liza Hirst's pieces of art. I absolutely LOVED this one (top image). 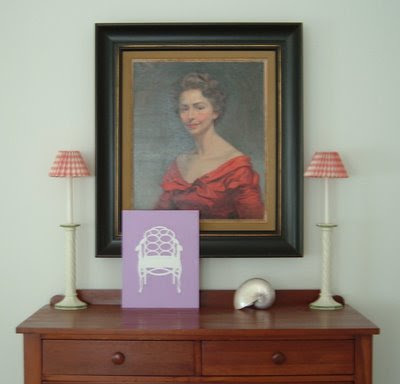 I also LOVED seeing the circa 1950's portrait of Anne Harwell's grandmother Lulu Harwell which she has teamed up with one of her gorgeous chair paintings as above. 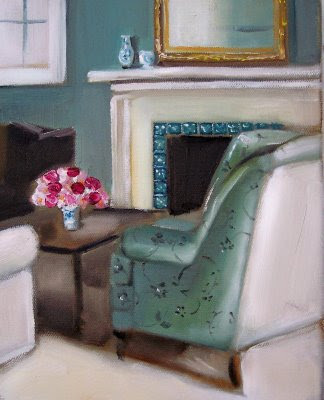 Wouldn't it be lovely to have a portrait of your very own grandmother! 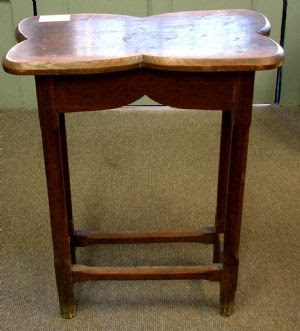 A rare 19th Century French Oak small Butterfly shaped table from Miguel Meirelles - this is my find for this week! 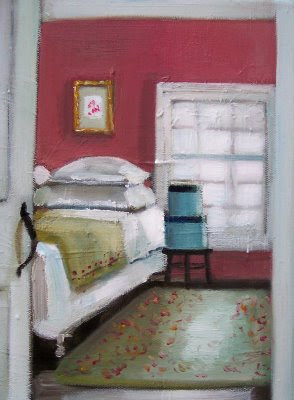 Wouldn't it be adorable as a bedside table in a little girl's bedroom!! 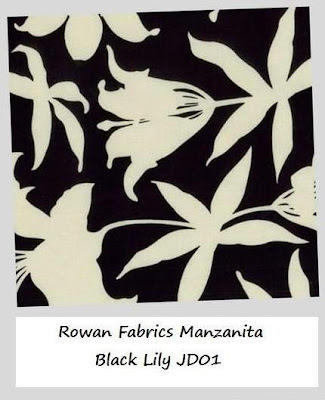 I'm so excited about receiving some fabrics which I have ordered for Black & Spiro from M.A. Belle's new business Rubie Green. I just received an email today letting me know that the fabrics are ready to be shipped. I'll post pictures of what we do with the fabrics once we have them in store. 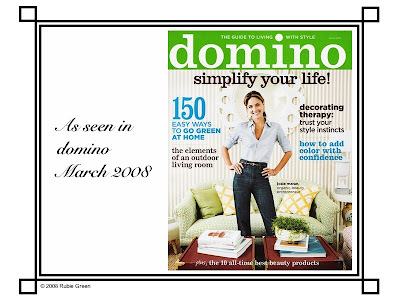 For those of you who don't already know Rubie Green's yellow & white trellis fabric was featured in cushions on the front cover of the last Domino Magazine - what a way to start up business being featured on the front cover of Domino!! Congrats Michelle!! 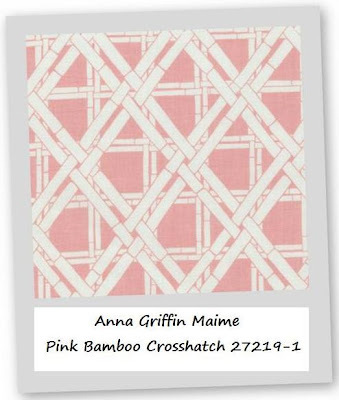 I'm loving these fabrics above from Purl Soho. The Bamboo Crosshatch (bottom) is available in a couple of different colourways - so cute and so well priced!! 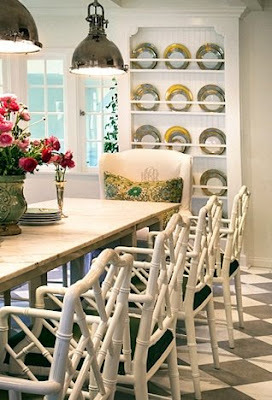 Today I am drifting a little from my usual design and decorating posts so do bear with me!! Thanks to Ez at Creature Comforts (oh and Felicity at All Things Bright & Beautiful) I have discovered Polyvore - so much fun and so addictive!! Here is a little winter wardrobe inspiration board I created today using my favourite new blogging tool Polyvore!! 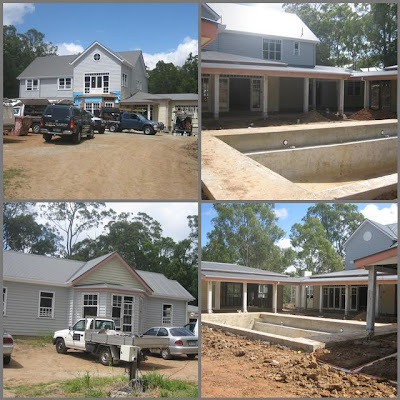 I thought I would show you some images of a house which is under construction at the moment which I have been working on with the owner for the past 4 months and one which I will be working on for at least another 4-6 months. The design of the house has obviously been based on a traditional American style timber house and it certainly is a project which I am very excited about. The house is made up of 4 main pavilions - The Guest House (big enough for a small family to live in full time!!! ), The Main House, The Summer House & The Gym. So far the client and I have been selecting all the hard finishes and working on the extensive cabinetry designs with my very talented cabinet maker. I have also completed and presented to the client over a series of approximately 7 appointments the entire furnishings scheme for the house. Do stay tuned as I will definitely be posting more about this exciting project over the up and coming months. 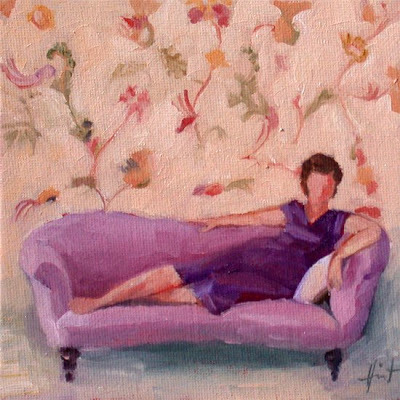 Here is a new sofa I have had made for a client which I used to style for some photos today at Black & Spiro. The fabric on the sofa is one of a range of fabrics we are importing directly from America and this is the first piece we have had made in one of our unique fabrics. The sofa is very beautiful, I must say and I can't wait to deliver it to it's new owners as I know they are going to be thrilled with it! This is the current window display at Black & Spiro - as you can see hints of green and turquoise are starting to make their way into the shop with lots more pieces due in very soon. Today I stumbled across the beautiful vintage Henry Clarke image which I have posted above (lady in beautiful dress lying on French Sofa) on This Is Glamorous' blog. 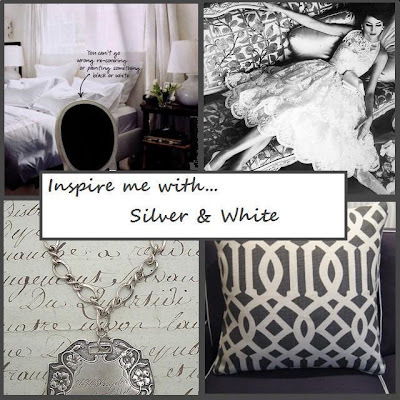 I was so taken with this image that I decided to create a little Inspiration board. Thanks for inspiring me TIG!! BTW - head on over to This Is Glamorous to see more of these beautiful photographs by Henry Clarke. Here's to a Happy Weekend for all! 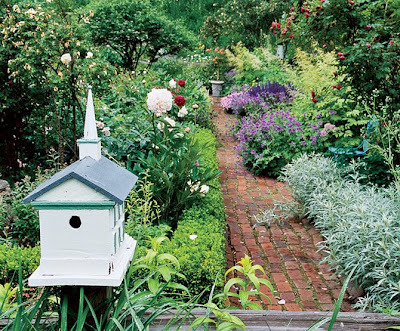 I'm hoping to spend some time in my garden tomorrow which I hope will one day look like this one - a little overgrown, a little imperfect but full of lots of wonderful things to pick for vases on tables inside the house!! 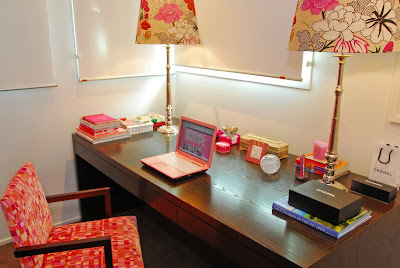 I thought I'd show you a picture of my friend Sally's office which we have worked on together. Behind the chair is a wall covered in a beautiful Cole & Son wallpaper in pink & orange. Even her computer matches the colour scheme!! 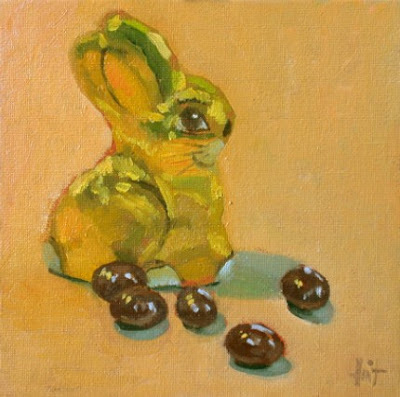 Easter is approaching us very quickly this year I must say! 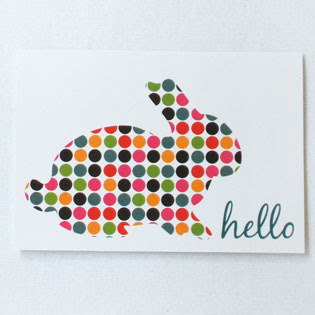 I love this cute little Easter Bunny card from local Brisbane stationery & gift company Blossom Creations. 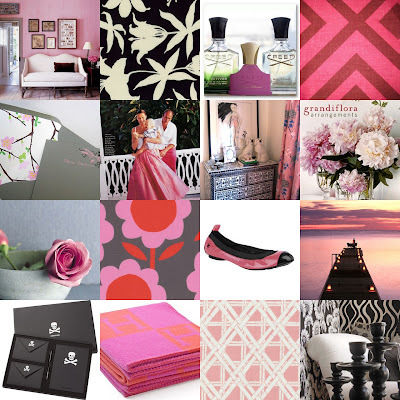 I have created this little Inspiration Collage to showcase my current favourite colour combination. These are the colours I have selected for our new showroom display which we will be installing very soon....and yes that's right there's no pink to be seen anywhere - a fresh new palette is on it's way!!! 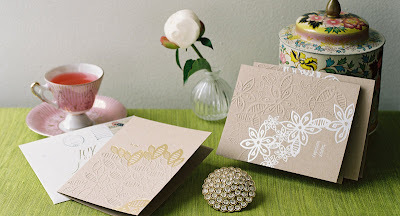 Pretty vase place card holders top image from Cox and Cox and pretty cards from Nantaka Joy bottom image. 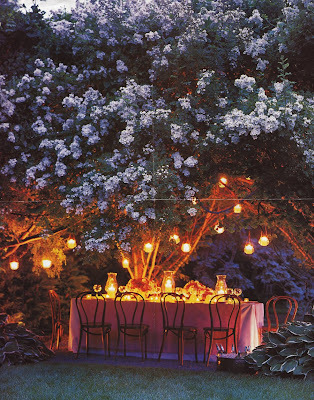 With all of these lovely things available it makes me want to have a dinner party! 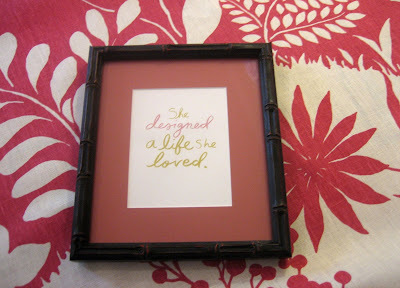 I recently added these two pictures to my Kitchen Love Files which I thought I'd share with you. As you all know an all-white background is always one of my favourite things with small injections of colour in accent pieces such as artwork, collections, cushions etc. 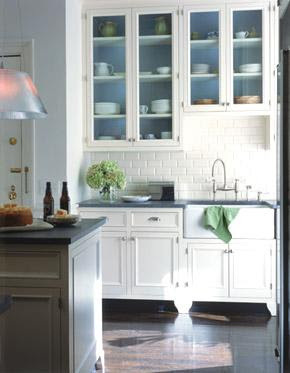 These accent pieces are the things which create interest and personality in a room - even a kitchen. The images above are examples of this look. These are a few of the new fabrics I selected for our upcoming display at Black & Spiro. I took this photo a month or so ago when I was planning our new look. I am hopeful to have the display in the shop before Easter. I'll keep you posted!! 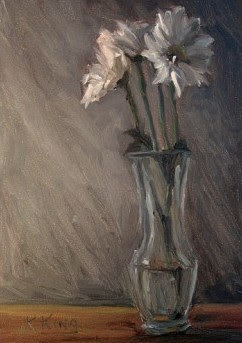 I love these little still life original oil paintings from Midnight Paintings Etsy shop. 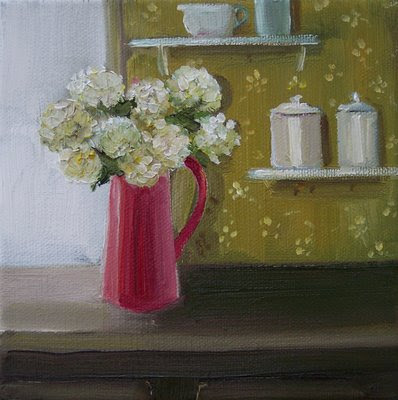 Wouldn't they look beautiful hung in a cluster with some vintage lady portraits?! !